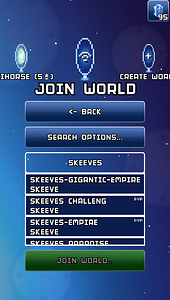 Have you tried only searching for “SKEEVES”? The world pops up for me. Well SGE has only 1 day of credit left. But fear not! Although I may let it go out of credit from time to time, if anyone wants to play there and finds it out of credit, simply PM me! As a historical landmark of Blockheads…and STILL the only 16x world with a circumnavigating railway, I am committed to maintaining funding. Phew. . I play there DAILY! As I logged on just now to see how many hours of credit were left and prepared to add more…suddenly, SGE has been bestowed with a 30-day lease on life! Whoever did so, the mighty empire is in your debt and perhaps we will build a monument in your honor! Except hopefully I won’t be the builder… I would probably build the sort of monument that looks like it came out of 2001: A Space Odyssey. Can whoever added credit please PM me, so we can work out how I can credit them. I’ve made this world a heritage world, and as such will sponsor it. This means the benevolent soul who added the credit is out of pocket. Is it hard for a server to become a heritage server? Great news! Should we hold a server party to celebrate the heritage achievement? I also play in this server every day. How can I also put credit to the server? Month to month doesn’t cost much, right? as I have seen how much it cost to pay a month for your own server. I’m a regular on the forums and helper to new and struggling players on the servers. Being a Heritage World means milla (or rather Majic Jungle, she certainly does not use her own money for it) will fund the server and never let it run out of credit. So there really is no need for anybody else to donate, although I am sure Skeeve and the regular players appreciate your willingness to do so. We all know SGE is part of the Blockheads history! 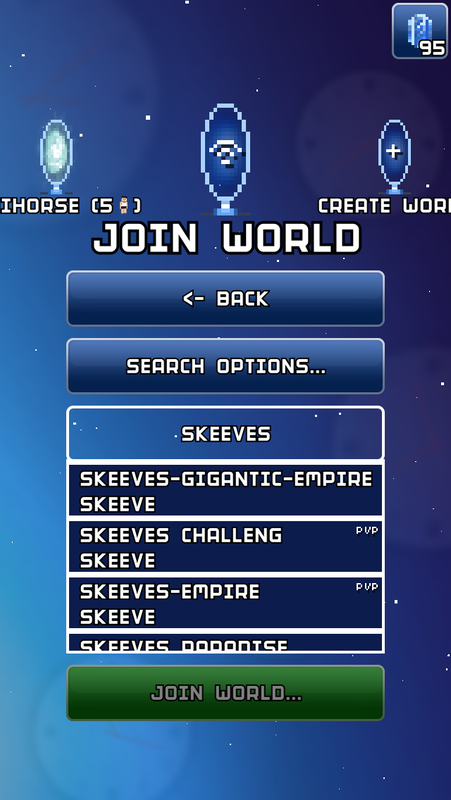 And probably there’s some of people who has generosity to give SGE credit to continue the journey and have more players fun in this beautifully ancient server that been part of the Blockheads all over the years! Even the Owner same generosity from people who they deserved!!! Congrats Skeeve! Congrats for de hertige world! Thanks guys, and I think I will go back to playing there soon. I want to do some more pixel art but Expert Mode, while fun, isn’t easy to get pixel art together especially without the use of portal chests. Announcing New Themed Section of SGE!! The usual rule of providing your own protection signs thru portal chests to give to admins to protect your work is waived here! Just build it and we’ll protect it in your name! (Or just pm me and I’ll get to it ASAP). From this sign to Marker 100 designates the theme area. This little guy suddenly popped up out of nowhere! 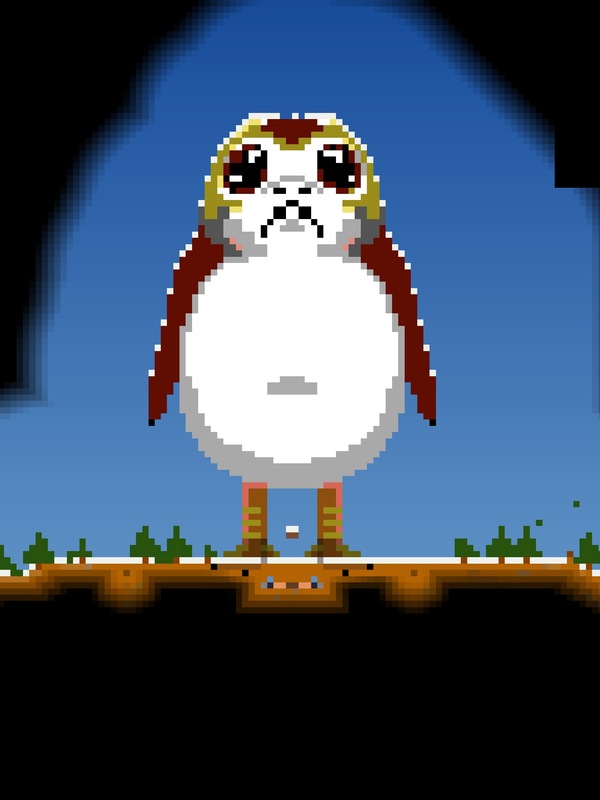 It’s a Porg from Episode VIII, The Last Jedi! Look forward to seeing all kinds of Star Wars art! P.s. can someone let CountryGal know? I can’t find her forum name. I talked about doing this Star Wars section with her a few days ago on SGE, just wanted to let her know I followed through. 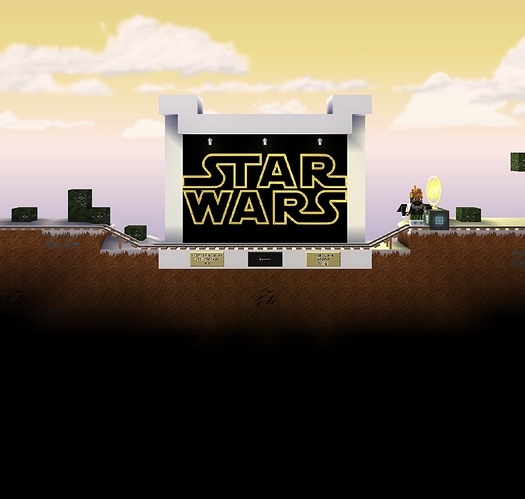 We had talked about creating our own Star Wars theme server almost a year ago but never got around to it, so instead I decided to carve a little section out of SGE. Heaven knows we have the space for it!